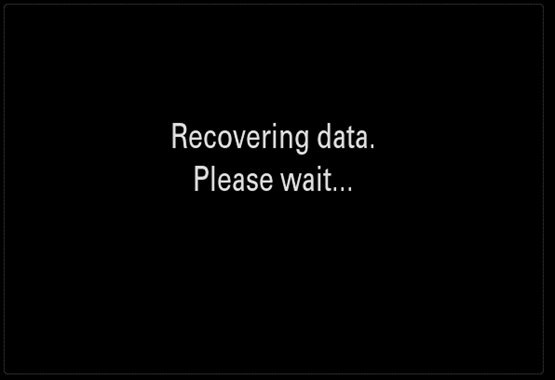 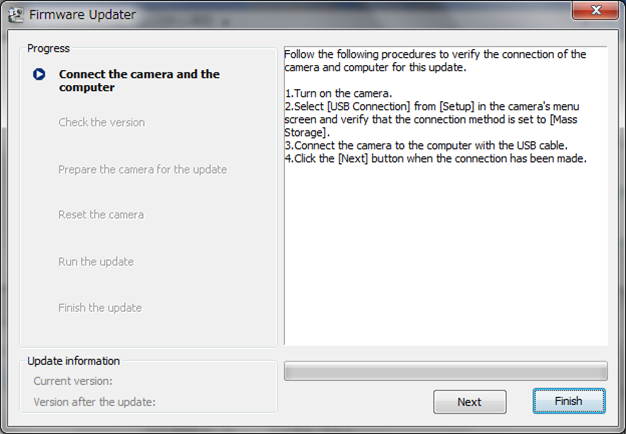 Sony is offering a system software update for Interchangeable Lens Digital Camera ILCE-7R. 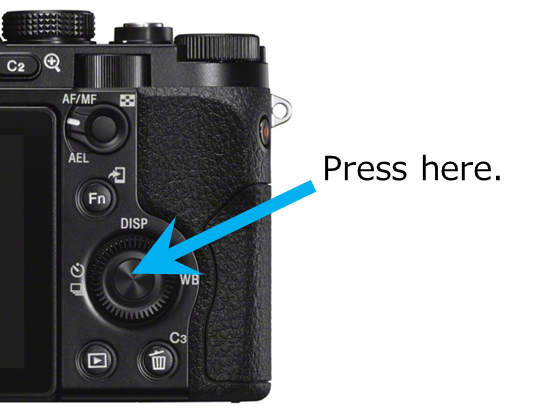 Adds functions including the "Focus hold button"
The start-up time has been reduced in cases when the camera is switched on immediately after being switched off. 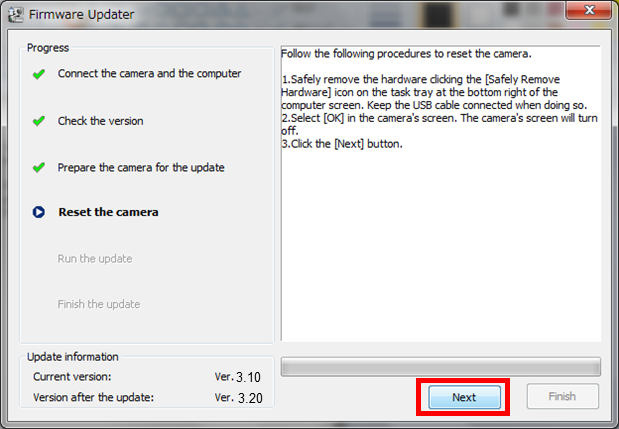 Provides support for additional "Play Memories Camera Apps" and additional features for previously supported apps. 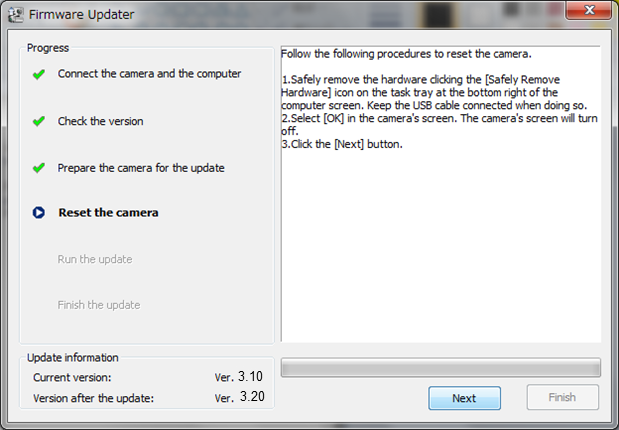 Provides support for "Liveview Grading" and "Smooth Reflection" applications. 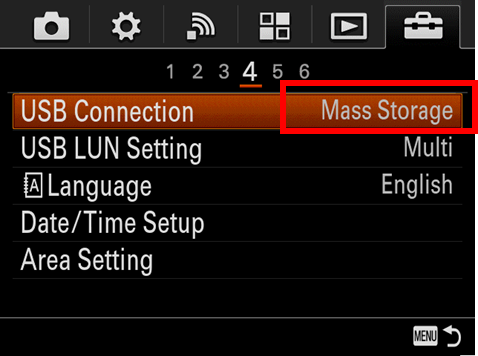 Provides support for the smooth automatic exposure feature in the "Time-lapse" application ver. 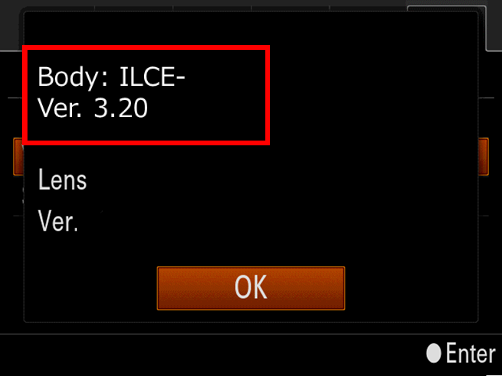 2.00 and later. 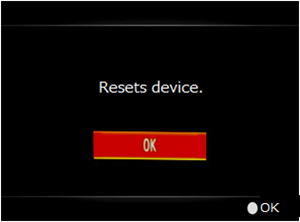 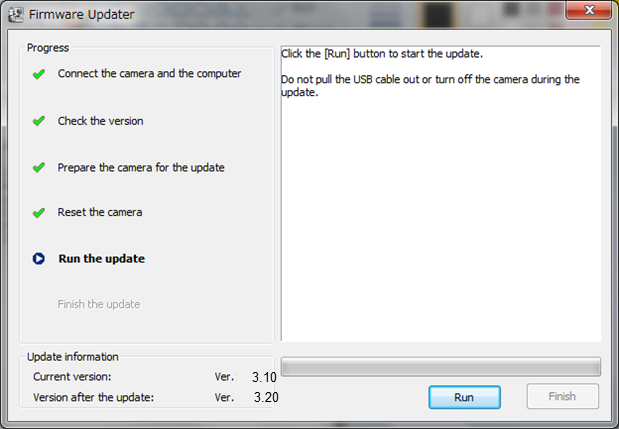 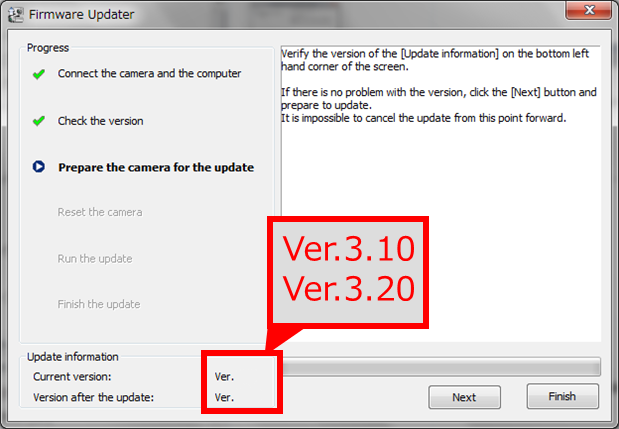 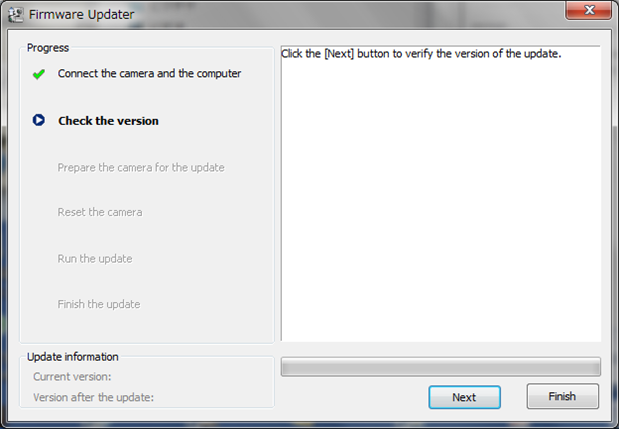 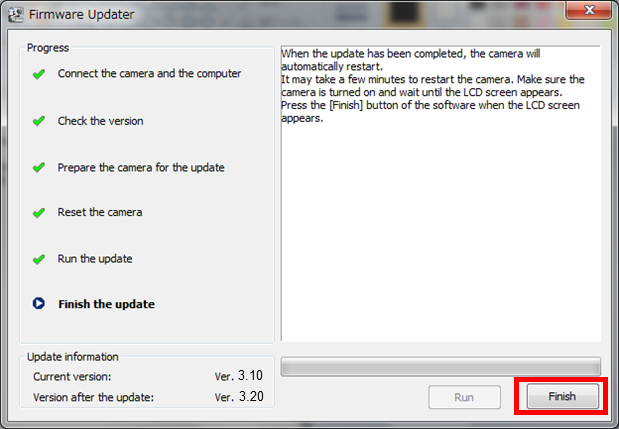 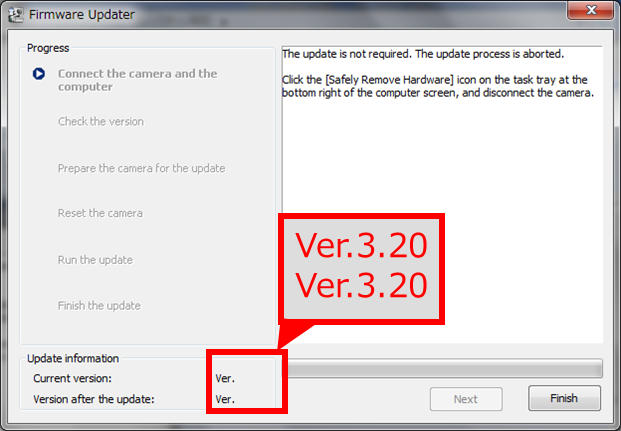 This page provides instructions on how to update the system software for camera ILCE-7R to version 3.20. 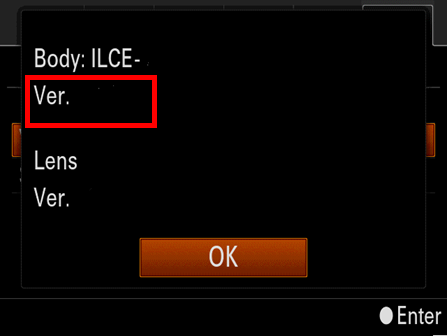 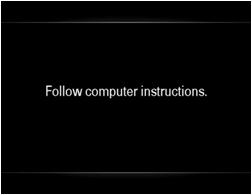 Close all currently running programs on your computer, then double click Update_ILCE7RV320.exe to start up Firmware Updater.